C is for Cure: A WaterFire Lighting for RI Defeats Hep C sponsored by GILEAD. 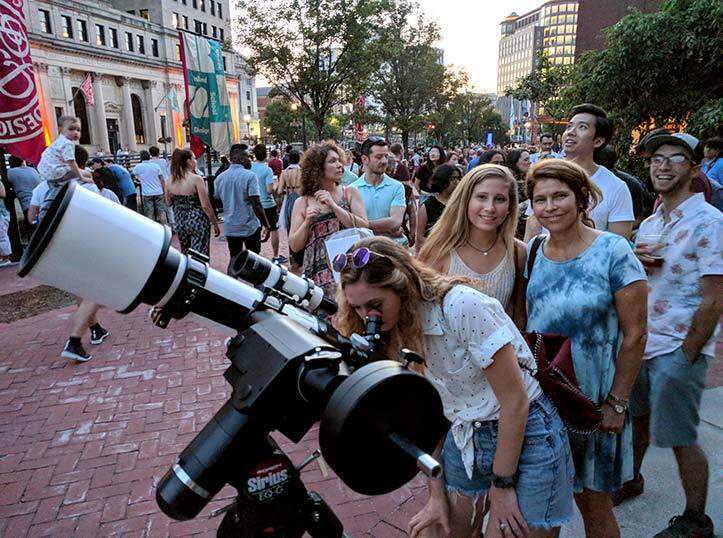 Full Lighting – Events Start at 6:00 p.m. – Sunset: 8:08 p.m.
WATERFIRE IS GOING AHEAD AS PLANNED! We are closely monitoring the forecast and expect the showers/storms to pass through well before the lighting begins at sunset. Opening Ceremonies will begin with a performance by Festival Ballet and the Gendo Taiko drummers starting at 8:10 p.m. on the Waterplace Park Basin Stage. Tina Broder, MSW, MPH; Karen T. Tashima MD; Sapna Chowdhry, MD; Michael Poshkus, MD and Dr. Lynn Taylor will lead 100 torchbearers into the basin for lighting. The procession will recognize those living with hep c and include doctors and medical professionals who have worked to bring awareness to hep C and have been influential in finding a cure. The Rhode Island Defeats Hep C Resource Fair, with support from the Rhode Island Department of Health, will take place on College Street Bridge. Johnson & Wales University and the Brown University Alpert Medical School will be among the booths present at the resource fair. There will also be free confidential hepatitis C screening on the College Street Bridge. The Steeple Street Music Stage sponsored by GILEAD will be live from 7:00 p.m. to 11:15 p.m. The stage will feature local musicians. Between musical acts, there will be speaking programs helping to bring awareness to hep C and its cure. The Keith Munslow and Chris Stovall Brown Band will play two sets from 7:15 – 8:00 p.m. and 8:15 – 9:00 p.m.
Rose Weaver and her Honeysuckle Rose Band will play two sets from 9:20 – 10:10 p.m. and 10:25 – 11:10 p.m. The Narragansett Bay Commission Helps to Light Up the Rivers! Clear Currents paddlers in Waterplace Basin. Photo by Jen Bonin. 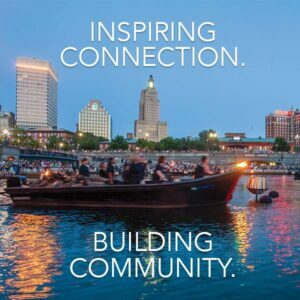 WaterFire Providence and the Narragansett Bay Commission have partnered to present this year’s Clear Currents community paddling event that celebrates improved water quality in RI. Clear Currents features close to 60 illuminated Japanese koi (fish) temporarily mounted on canoes and kayaks that registered participants will paddle up and down the river after sunset. The brightly colored fish will beautifully compliment the 80 wood burning braziers installed on the river! Clear Currents celebrates the cleaner water that the opening of the Narragansett Bay Commission’s Combined Sewer Overflow; an initiative that has greatly improved water quality throughout the entire bay area. 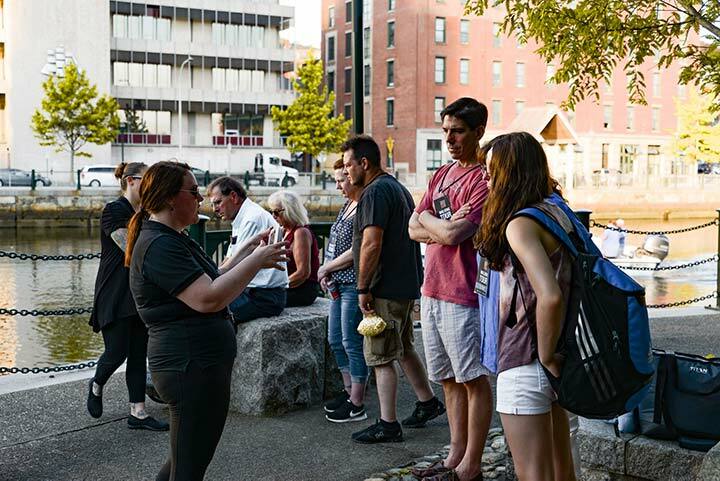 Take a walking tour with one of our knowledgeable staff and volunteers to get an inside look into the history, theory of design and management of WaterFire. 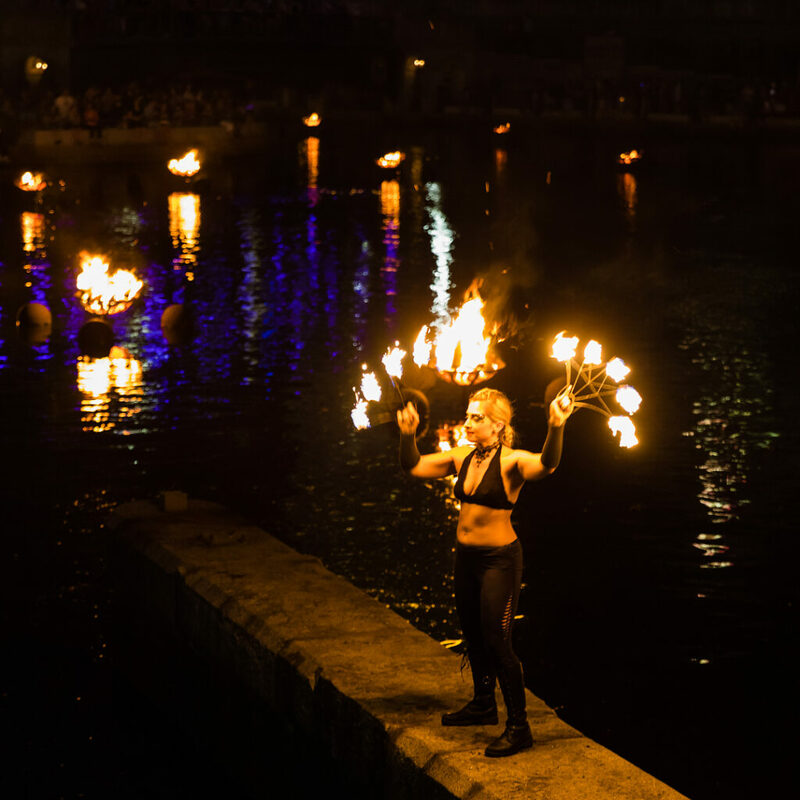 Get the inside story of WaterFire with two exciting walking tours that begin at 4:30 and 7:00 p.m. 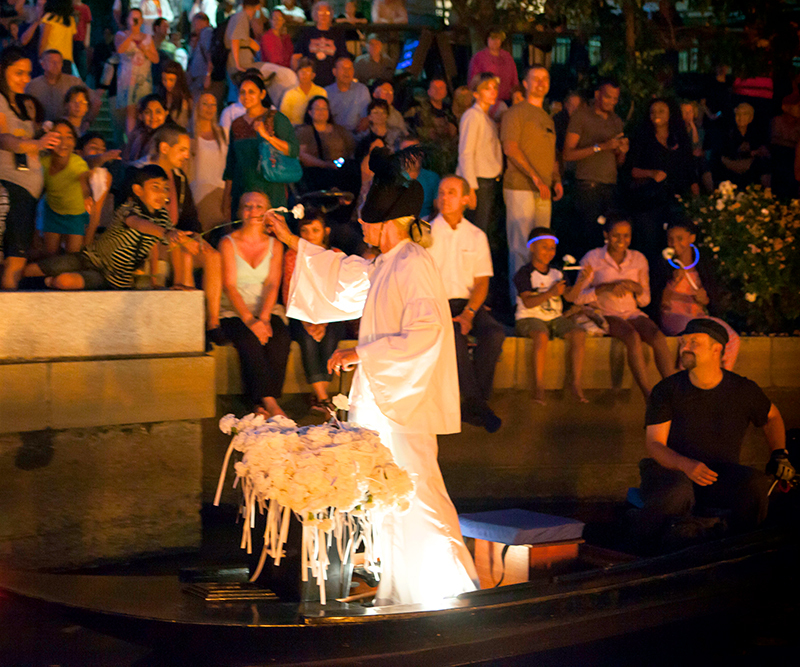 This reservation-only tour allows those who want to learn the ins, outs, and background of the magic of WaterFire. For a donation of $10 registrants will walk the length of the canal with a tour guide and land at the basin just in time for lighting. 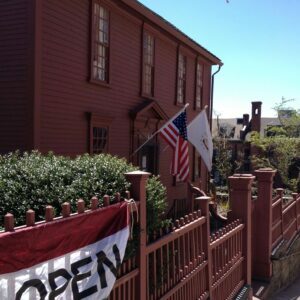 Visit the WaterFire Marketplace on Canal Street and help light up Providence. 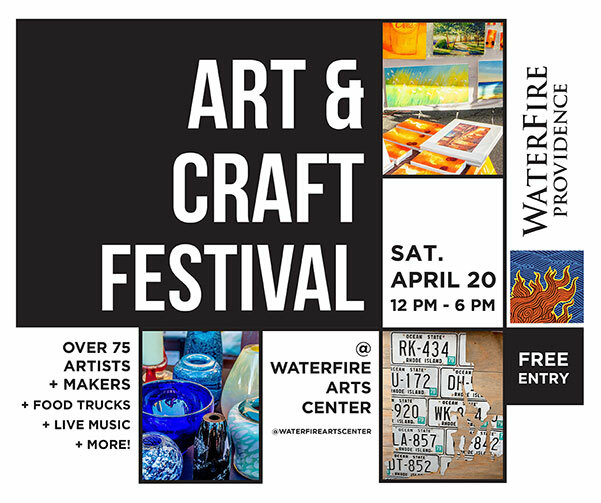 Support WaterFire with a donation or a purchase of locally designed apparel, glassware, books, and gifts. Pin where you are from on Map Center’s maps and watch glass blowing demonstrations by Gather Glass. 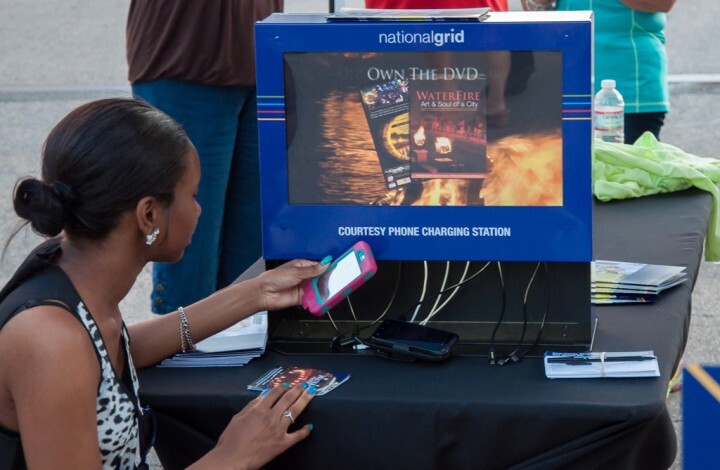 Stop by the DipJar Tent at the WaterFire Marketplace on Canal Street – with every dip there’s a chance to win an exclusive WaterFire opportunity (plus other prizes!). 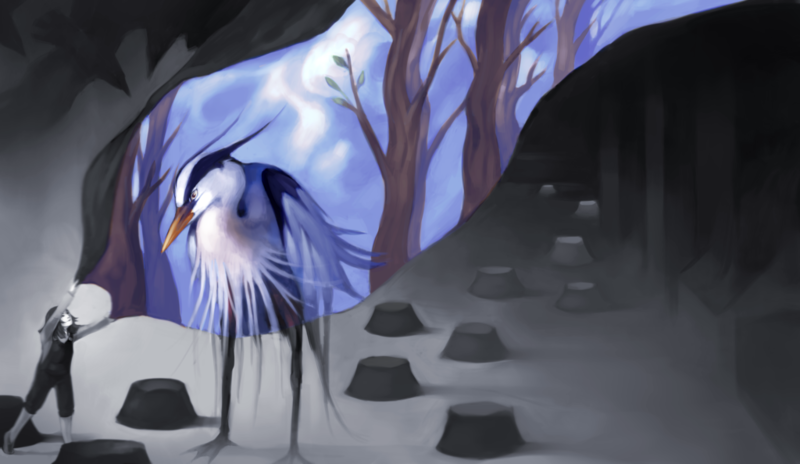 URBAN WILDLIFE: LEARNING TO CO-EXIST presents artistic creations that explore the lives of wild animals in urban areas, and the human responses to this shared territory. Borne out of scientist/artist collaborations, the exhibit encourages the viewing public to take an active role in healthy co-existence with urban animals. Co-Curator and RISD faculty member Dr. Lucy Spelman explains that while the expansion of villages, towns, and cities create new homes for some animals — it displaces others. The results are often problematic. Our scientific understanding of the actions we need to take in order to live in balance with urban wildlife is an important part of the solution. Science (urban ecology) can provide the guidelines, but we need the motivation to follow them. There is an equally important need to help more people understand that humans and animals are interdependent and that our continued success depends on a diverse and healthy animal kingdom. Sponsored by Creature Conserve and Rhode Island School of Design. Open late for WaterFire on from 5:00 – 10:00 p.m. The ISB Gallery is a non-profit exhibition space that celebrates figurative art and illustration. Curated and underwritten by the Rhode Island School of Design, the space highlights professional artists from early June through RISD Weekend on Columbus Day. During school semesters, the gallery hosts a mix of student or curriculum related exhibitions. Cirque De Light fire dance Sienna Moon will be performing on the river throughout the night. Tim: Thanks for putting this up. I am taking my girlfriend to see her first WaterFire (and my first in about 10 years!). Any particular suggestions for places to be/things to do, etc.? Try to get to the Basin for lighting ceremony between 8:00 & 8:45 p.m. the performances and the Clear Currents fish entering will be pretty awesome. Also, check out the WaterFire Music Stage on Steeple Street for some great music.